You’ve made the decision to replace your home’s windows and doors, and now you’re asking yourself how do I measure them for replacement? 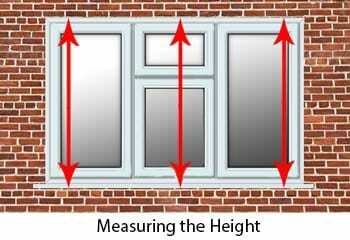 Proper measurement of windows is essential in successfully installing new or replacement windows in a home. Because of the importance of having your windows built to the exact size necessary to ensure optimal performance, we always recommend you hire a professional to tackle the job because more goes into the project than many people realize. And, if the custom-built replacement window does not fit perfectly, you will be responsible for this, and may then need a new one built or the existing opening modified to make it fit (which defeats the purpose of having a custom window made in the first place). Even if you’re planning to hire a contractor to do the job, you may want to know how to measure for replacement windows to ensure you get the right size. Following these Ranebrook Windows guidelines will help to ensure precision and therefore, the best performance of your new windows. These recommendations are based on the installation of a typical replacement wood double-hung window into an existing wood double-hung window frame. To get the best result, take measurements from the outside opening (brickwork opening) of both the width and the height. Note: Never measure the old frame or door, only measure the brickwork opening! 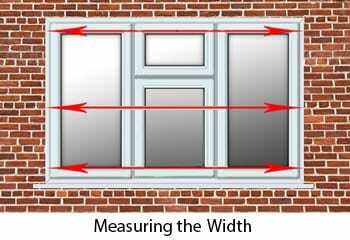 Measure the width of the window or door opening at the top, middle, and bottom. Take the narrowest measurement and deduct 10mm. This will be the width of the window you order. Measure the height of the opening at the left side, middle, and right side. Take the shortest measurement and deduct 10mm. This will be the height of the window you order. The information above and is generic because there are many things that determine exactly where you measure and how much you deduct or add to the width and height. 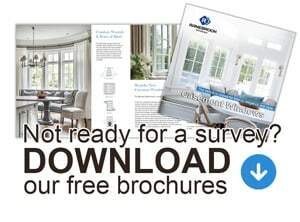 If you’re considering replacing your home’s windows to boost energy efficiency or eliminate air and moisture leaks for comfort, we recommend you work with a reputable replacement window dealer, like Ranebrook Windows. When you allow professionals to evaluate your existing windows, and take care of the installation, you eliminate the hassle of figuring out the best way to remove your old windows without having to do major exterior and interior construction. The peace of mind that comes from knowing the whole job – parts and labour – is guaranteed is immeasurable for many homeowners. No construction mess, no worries about getting the wrong size and no fear that your windows will fail in a couple of years because they weren’t installed properly. Another way to make sure your final project measures up to your expectations is to install superior quality, custom-built replacement windows uniquely designed for every room. The replacement windows offered by big box stores often come in a limited number of styles, like double-hung and sliders. Knowing you can change your existing window to a different style or shape allows you to really get the look and feel you want for your home. Want some help from our professional window replacement team? Just fill in the short contact form on this page or reach us immediately by calling 01322 332237.